Amazon Puffer Tropical Fish Learn all about the Amazon Puffer's feeding habits and food types, its behaviour, its origins, its natural habitats, is it male or female, breeding advice and information, suitable tank mates, its sizing and growth range, minimum tank size, water PH and more. Use our fish community creator tool to plan your tank set up and ensure that the Amazon Puffer is the right fish for your aquarium. Although occassionally found in brackish waters, the Amazon Puffer is a true freshwater species, and is best kept in freshwater. As with other puffers, these fish are best avoided by beginners since they have some unusual requirements and may not mix well with all community fishes. The Amazon Puffer is however, a relatively easy to keep species. Soft to medium water is preferred, but not essential, and since the fish like to dig around, a sandy substrate is best. The fish can nip so they are best not kept with delicate, slow, or long finned species. The teeth of these puffers will grow rapidly, and the aquarium should contain shells or soft rocks which the fish can grind their teeth down with. Feeding regular shelled foods such as cockle will help as the teeth can be worn down during feeding. If the teeth continue to grow they will need to be trimmed, for which you should seek expert advice. Amazon Puffers can be kept either singly or in groups and are relatively peaceful - where nipping or aggression is shown, it is normally accidental, but delicate tankmates should be avoided. If kept in a community aquarium, plenty of variety in decor (i.e. open spaces, crowded areas, vegetated areas, caves, wood etc..) will help to reduce any compatability problems. As with other puffers, these fish can be prone to skin based problems, such as whitespot. A similar fish, Colomesus psittacus, can grow up to 25cm. Due to some unpredictability with mixing, Amazon Puffers are excluded from the Compatibility Checker. If you have a question about keeping Amazon Puffer's then please use our Amazon Puffer help forum. Join 100's of other fish enthusiasts with 1000's of years experience between them caring for and keeping fish like these. You are in the thinkfish community creator for the Amazon Puffer fish species, you can learn all about how the tool works in assessing fish tank mate compatibility at the link provided or use the tool tips provided to guide you. 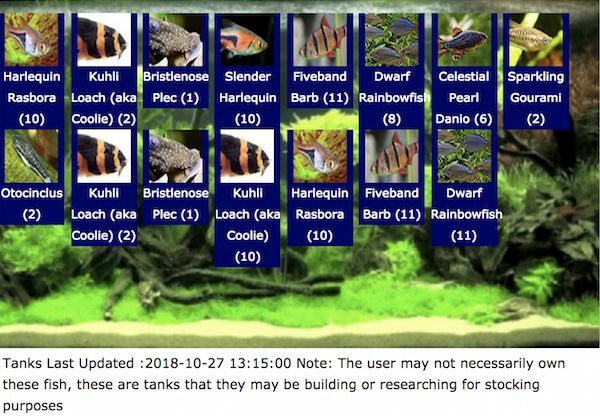 Create a test fish community that includes the Amazon Puffer species and any other types of fish or crustacean you'd like to introduce - You can assess the best companions, tank size suitability, stocking levels based on filter type and volume and possible negative interactions and warnings as you build up your aquarium. Please do check your water type for compatibility with your fish, which can be found on the Amazon Puffer information box above and your local water company providers website. Don't waste your money and endanger your fish! If you'd like to talk about the "Amazon Puffer" with our users, then we have a buzzing community of fish enthusiasts where you can talk about tank issues, Amazon Puffer fish behaviour, Amazon Puffer tank stocking and any other issues related to the Amazon Puffer fish or other types you may have.